I hope everyone is doing well. 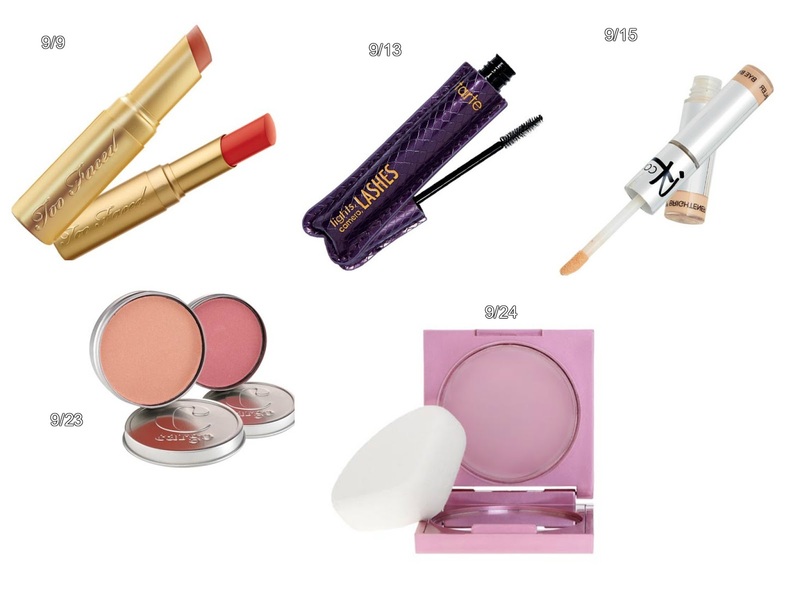 There are some pretty good deals that are happening right now at Ulta, and I want to point out some of my picks. 9/9 - TooFaced La Creme lipstick. I love the formula. It's so creamy and sits nice on the lips. For 50% off, it's a very good deal. 9/13 - Tarte Lights, Camera, Lashes mascara. It's one of my favorite mascara. If you have wimpy lashes like mine, lashes that like to face down that is, this mascara will hold up curl without weighing them down. 9/15 - It Cosmetics Eyelift in a tube. I have never tried this one, but It Cosmetics is known for its complexion products, and I am so excited to try this one. It's essentially an under-the-eye concealer mixed with brightener which would give the look of "instant lift". 9/23 - Cargo blushes. Another product I have really been wanting to try out. I've seen it on action and heard about how long-wearing it is. 9/24 - Maly Beauty Face defender. This is pretty much the new form of blotting paper or touch-up powder. It takes away the shine and get rid of the oil without putting more product and without any used oily paper. This is odorless and colorless. Let me know what you get or any recommendation is welcome!